Mr. Khalid Al-Khudair is the Founder and CEO of Glowork, a women empowerment organization that seeks to match Saudi women with employment opportunities. To date, Glowork has matched over 6,000 women with employment opportunities and aims to help secure 50,000 jobs over the next five years. GLOWORK has been recognised for its contributions to female empowerment in the job market, by the UN, the International Labour Organization and the World Bank. After receiving his undergraduate degree, Al-Khudair returned to Saudi Arabia and began his career with Deutsche Gulf Finance. Later, Al-Khudair held the role of COO-Markets at KPMG in Saudi, Kuwait and Jordan. However, it was when his sister returned to Saudi Arabia that he recognized the extensive barriers women face when joining the job market. Her struggle inspired him to found Glowork in 2011, the first website and movement dedicated to female recruitment in the region. In 2013, Glowork received an investment of over $16M to expand its operations. Al-Khudair is a 2013 Ashoka Fellow and in March 2014 he was elected a Young Global Leader at the World Economic Forum for his work in social entrepreneurship. He has also been awarded the Excellence in Entrepreneurship Award at the Global Thinkers Forum, named Saint Mary’s University Young Alumni of the Year, and selected as a Amends Fellow at Stanford University. 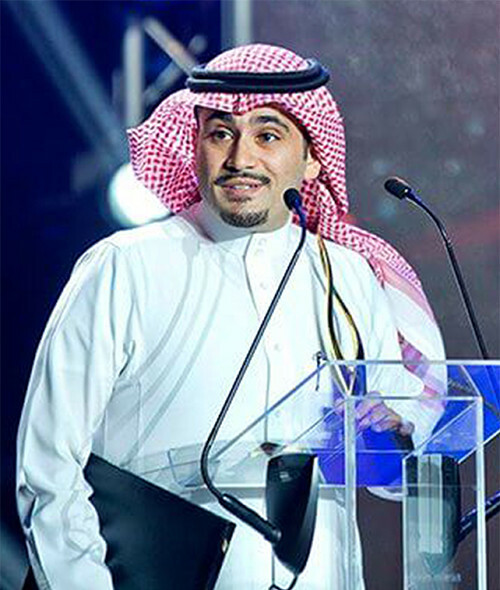 In addition, Al-Khudair has been voted the third most influential youth throughout the Gulf and Best Head of Marketing in the Middle East by Gulf Business Magazine as well as being ranked among the top 500 Most Powerful Arabs by Arabian Business Magazine. Al-Khudair is also an active writer and published the book entitled Communicating Effectively in the Work Place.